Find out where N.H. candidates stand on marijuana policy, then help good candidates win on Nov. 6! Less than seven weeks remain until the November 6 general election. The winners will have the power to determine New Hampshire’s marijuana policies for the next two years, so it is critically important for supporters of cannabis legalization to become informed and active participants in this year’s election. Click here to learn where candidates on your ballot stand on marijuana policy! As our voter guide explains, there are many strong contrasts between candidates’ positions on marijuana policy. In the race for governor, Gov. Chris Sununu (R) has not yet been convinced to support legalization, but Molly Kelly (D) and Jilletta Jarvis (L) have both taken clear positions in support. The outcome of state Senate races will also be critical for our success, and those contests are often determined by a very small number of votes. If you are able to volunteer to help a good Senate candidate win in your area, please consider doing so. This could end up making a big difference in November! Click here for a condensed, printable one-page version of our voter guide. Please share this information with your family and friends. Then, please do what you can to help good candidates win in November! The post Voter guide for New Hampshire’s general election published appeared first on MPP Blog. While the new bill to legalize and regulate marijuana has not yet been revealed to the public, lawmakers and the Murphy administration are reportedly close to reaching a deal. However, it is not yet clear what the legislature intends to do to help people who are still suffering from the collateral consequences of a prior marijuana conviction. If you’re a New Jersey resident, please ask your lawmakers to support not only ending marijuana prohibition for adults moving forward, but also ensuring that those harmed by prohibition in the past are able to clear their records and move on with their lives. New Jersey has been hotly debating the best way to legalize, tax, and regulate cannabis since Gov. Phil Murphy made that an important part of his campaign in 2017. MPP continues to advocate for adopting the best practices of other states to ensure that legalization allows opportunities for people impacted by marijuana prohibition and small businesses, and we’re encouraged that these ideas are reportedly being included in the legislation. However, we want to continue fighting to include criminal justice reform as well. If you live in New Jersey, please help by asking your legislators to include strong expungement provisions now. The post New Jersey getting closer to finally legalizing marijuana appeared first on MPP Blog. Last month, a team of grassroots activists beat the odds and succeeded in qualifying a ballot initiative to legalize marijuana for adults in North Dakota. With just a few weeks left until Election Day, they need our help. Today, MPP is endorsing their effort and urging allies to support Measure 3. There’s a real chance North Dakotans could approve Measure 3, which would end prohibition and create a process to seal criminal records for nonviolent marijuana convictions, but polling suggests the vote is going to be very close. Every dollar the campaign receives goes towards voter outreach and education. North Dakota has a small population, so your contribution could make all the difference. Will you make a donation to support the grassroots campaign to legalize marijuana in North Dakota? A victory for Measure 3 would be huge. It would show that adult-use legalization can win anywhere, even in more rural and conservative states. It would also send a strong message to Congress that federal laws on marijuana are deeply unpopular throughout the country. 2018 is shaping up to be a big year for our movement. There are four marijuana-related state ballot questions in play, and each of them needs your help. Click the logos below to check out the campaigns. Please follow them on social media, spread the word to voters in those states, and donate what you can. The post MPP endorses North Dakota’s legalization ballot measure appeared first on MPP Blog. The Maryland Cannabis Policy Coalition just updated our voter guide for Maryland’s general election on Tuesday, November 6, 2018. All 188 of Maryland’s lawmakers are up for election this year, and we’ve graded the marijuana policy positions of those that responded to our candidate survey. We hope this guide is helpful as you prepare to vote! Maryland’s 2018 gubernatorial election is also important for marijuana policy reform. Democratic candidate Ben Jealous has repeatedly declared his support for legalizing and regulating marijuana. The Maryland Green Party and Libertarian Party of Maryland, both members of the coalition, are also fielding candidates who support legalization, Sean Quinn and Ian Schlakman. Unfortunately, Republican candidate (and current governor) Larry Hogan’s views on the topic are not entirely clear. Please help us get his position firmly on the record! Consider attending a campaign event (listed on his Facebook page or Eventbrite) and respectfully asking him to explain his views. Or, you can send him an email. 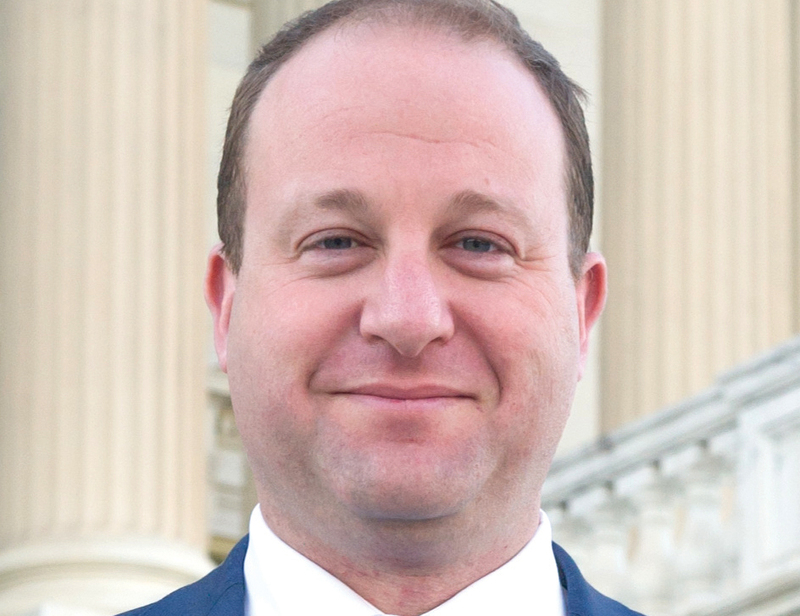 If you get a response, or just hear him comment on marijuana policy reform, please let us know. And of course, don’t forget to register to vote! You must register by October 16, 2018 to vote in this election. The post Voter guide updated for Maryland’s November general election appeared first on MPP Blog. Both cannabidiolic acid (CBDA) and tetrahydrocannabinol (THC) show anti-inflammatory and anti-hyperalgesia effects on acute inflammation, according to a new study published by the journal Psychopharmacology, and epublished ahead of print by the National Institute of Health. The full study, conducted by researchers at the University of Guelph in Canada, can be found by clicking here. While the US boasts the largest economy and stock market in the world, with giants Apple, Netflix and Google, Canada offers the largest cannabis companies for now. To be sure, US cannabis companies such as MedMen Enterprises Inc. and Terra Tech Corp. have been expanding quickly. But Canada’s Tilray Inc., Canopy Growth Corp., Aurora Cannabis Inc., Aphria Inc., Cronos Group Inc. and others have bulked up significantly. The leading Canadian company, British Columbia-based Tilray, is currently valued at $14.4 billion. With adult-use sales scheduled to begin in Canada on October 17, the spigot of capital has opened as investors pour money into the nation’s top pot stocks. The total cannabis market in Canada, including medical and recreational products, may yield up to $5.4 billion (C$7.2 billion) in sales next year, according to estimates from Deloitte. With an eye on this growth, financiers and executives have been eager to offer investors new options. Tilray’s shares jumped 30% in their stock market debut on the NASDAQ on July 19, giving the company a total market value of $2.7 billion at the time. It’s a rich price tag for a business on track to earn just $80 million this year. These 12 stocks are where canna-investors should place their bets. Each company is a licensed producer (LP) of cannabis in Canada. Market cap: $14.5 billion; owns Ontario-based LP, Tweed; with it’s recent $4 billion investment, Constellations Brands, whose stable of alcohol companies includes Corona and Mondavi, now owns 38% of Canopy. Market cap: $7.3 billion; Alberta-based LP also owns Ontario-based LP, MedRelief Corp. as well as subsidiaries CannaMed and Hempco Food and Fiber; on Sept. 17, it was reported that Coca-Cola had contacted Aurora about launching a CBD soft drink in Canada. Market cap: $10.2 billion; owns the British Columbia-based LP; on Sept. 17, it was reported that the DEA will begin to import cannabis from Tilray for research purposes. Market cap: $4.5 billion; owns the Ontario-based LP. Market cap: $2.3 billion; owns Ontario-based LP, Peace Naturals Project Inc.
Market cap, $1.9 billion; owns the Ontario-based LP. A hemp legalization bill has been passed by a key Senate committee in New Jersey. The Senate Economic Growth Committee passed Senate Bill 2491 today, sending it towards a vote by the full Senate. A companion bill to this measure, Assembly Bill 1330, was passed unanimously through the Assembly (67 to 0) in June. The full text of Senate Bill 2491 can be found by clicking here. The post New Jersey Senate Committee Passes Hemp Bill appeared first on TheJointBlog. Louisiana state officials today nixed a regulation that prohibited physicians from recommending medical cannabis to more than 100 patients, while also easing renewal requirements for patients. Earlier today the Louisiana Board of Medical Examiners, by a vote of 8 to 1, decided to remove an arbitrary rule that required physicians to stop recommending medical cannabis once they’ve recommended the medicine to 100 patients. The board also removed a requirement for patients to see their physician every 90 days in order to continue their ability to legally use medical cannabis (the vote on this was closer; 5 to 4). Dr. Victor Chou, who was one of the first physicians in the state receive a license to recommend medical marijuana, told the board he met the patient cap just two weeks after opening his clinic, noting that he has “a waiting list of 700 patients”. During their meeting the board was also asked to lift a rule that requires minors using the medicine to treat the symptoms of autism spectrum disorder to see a pediatric subspecialist in addition to their family physician. Proponents of the change urged the board to look into the issue at their next meeting which takes place in October. The post Louisiana Officials Remove 100-Patient Limit for Doctors Recommending Medical Cannabis appeared first on TheJointBlog. Marijuana may help fight obesity, according to a new study published by the International Journal of Molecular Science. Noting that “Obesity is an increasing health problem worldwide” and its “related comorbidities imply a high cost for the National Health System and diminish a patient’s life quality”, the study’s abstract states that”Cannabinoid receptors (CB) regulate thermogenesis, food intake and inflammation”. Obesity is an increasing health problem worldwide. Its related comorbidities imply a high cost for the National Health System and diminish a patient’s life quality. Adipose tissue is composed of three types of cells. White adipocytes are involved in fat storage and secretion of hormones. Brown adipocytes are involved in thermogenesis and caloric expenditure. Beige adipocytes are transitional adipocytes that in response to various stimuli can turn from white to brown and could be protective against the obesity, enhancing energy expenditure. The conversion of white in beige adipose tissue is a potential new therapeutic target for obesity. Cannabinoid receptors (CB) regulate thermogenesis, food intake and inflammation. CB1 ablation or inhibition helps reducing body weight and food intake. Stimulation of CB2 limits inflammation and promotes anti-obesity effects by reducing food intake and weight gain. Its genetic ablation results in adiposity development. CB receptors are also responsible for transforming white adipose tissue towards beige or brown adipocytes, therefore their modulation can be considered potential anti-obesity target. CB1 principal localization in central nervous system represents an important limit. Stimulation of CB2, principally localized on peripheral cells instead, should facilitate the anti-obesity effects without exerting remarkable psychotropic activity. If smoking marijuana is the king of all consumption methods, eating (i.e., ingesting) marijuana is the queen. Sure, dabbing (the prince in this metaphor) may usurp the throne one day, but for now, smoking and ingesting rule the roost. But before you head to the kitchen to dump your bag of weed into you favorite brownie mix, there are some important points to consider in your quest to learn how to make edibles. After that, we’ll show you how to make a cannabis infusion that you can use in any recipe and give you some tips on how to make edibles the honest way. We’ll also let you in on a few super-secret methods (not really) for bringing you back down to earth should you get too high. Before we get to that, though, let’s start with what you can expect after eating marijuana edibles. In terms of delivery, smoking and ingesting can be thought of, respectively, as the bullet train and the bike of the cannabis consumption world. Smoking marijuana delivers the THC to your system lickety-split and takes you from normal to high in a matter of minutes or even seconds (like a bullet train). Ingesting marijuana, on the other hand, takes anywhere from 30 minutes to three or more hours to get you where you want to go (like a bike). Blunt vs. Joint: What’s The Difference? Case in point: the terms blunt and joint. Along with a few others, they may be the most common words in the cannabis dictionary. But do you know the difference between blunt vs. joint? The answer might surprise you. Even though cannabis enthusiasts are a pretty laid-back bunch, using the wrong language can be a definite give-away that you’re inexperienced or “unedumacated.” The difference between blunt vs. joint is a prime example. Sure, they both contain marijuana, but that’s where the similarities end. What’s more, there are some pretty distinct differences that set one apart from the other. To illustrate, it’s like the difference between a car and a truck. Yes, they both have four wheels and an engine, but you’re going to get some pretty strange looks if you point at a Mazda Miata and call it a Chevy Silverado. The terms just don’t mix. The same is true for a blunt and a joint. Not sure what makes a blunt a blunt and a joint a joint? That’s why we’re here. So sit back, relax, and prepare to be informed. The New Jersey Department of Health has waived regulations prohibiting medical cannabis dispensaries from selling vaporizer products such as cannabis vape cartridges and vape pens. Up until this point medical cannabis dispensaries in New Jersey were banned from carrying vaporizer products such as cannabis cartridges, with the law limiting them to selling cannabis bud, topicals (lotions, ointments, etc.) and oral lozenges. Now, with a rule change brought forth by the Department of Health, dispensaries are authorized to sell cannabis cartridges, vape pens and other similar products. Curaleaf New Jersey, based in Bellmawr, is one of the first dispensaries to offer cannabis cartridges, with sales of the product starting earlier today. There are five other dispensaries located throughout New Jersey, and it’s expected that most if not all will be offering the product soon (if they don’t already). Expanding access to medical cannabis and allowing a more diverse list of products is a priority of the Health Department, and this move is an indication of that, says assistant health commissioner Jeff Brown. Earlier this year the department released a new set of rules for the state’s medical cannabis program. The post New Jersey Medical Cannabis Dispensaries Now Authorized to Sell Vaporizer Cartridges and Vape Pens appeared first on TheJointBlog. A judge is Michigan has stopped plans by state officials that would shutdown nearly 100 medical marijuana businesses. Court of Claims Judge Stephen Borrello granted an injunction yesterday on the businesses’ closure. The injunction was requested by a lawyer representing one of the medical marijuana business that would have been shutdown. The state is currently reviewing the judge’s order. Regulators on Tuesday, Sept. 11, 2018, extended the deadline to Dec. 15, 2018, for medical marijuana businesses to be licensed, allowing 108 facilities to continue operating while warning that 98 others would be issued cease-and-desist letters. Borrello’s order tells the state to allow all to keep operating. This marks the third time the licensing deadline has been extended or softened as Michigan continues the process of more tightly regulating the medical cannabis industry under a 2016 law. The post Michigan Judge Stops Closure of Nearly 100 Medical Marijuana Businesses appeared first on TheJointBlog. Too high — seven little letters and a space. Doesn’t seem so bad on the surface, right? There are plenty of four-letter words that might seem worse. But for new and experienced cannaseurs alike, four-letter words are nothing when compared to saying “too high” out loud. Unfortunately, it’s an all-too-common part of the marijuana experience. One minute you’re riding a seriously righteous high, and the next minute you’re convinced the floor is going to open up and swallow you whole. So what’s a too-high stoner to do? The cannabis experts at Honest Marijuana give you 15 remedies to help you down fast. Regardless, when you feel like you’ve gone too high, put the joint, blunt, or bong down and do something else for a while. Here’s a cool fact: cannabidiol (CBD) actually counteracts the psychedelic effects of THC. Add to that the wonderful news that CBD doesn’t have any major side effects of its own, and you’ve got a potent remedy for a bad trip. We recommend keeping a stash of CBD oil on hand for the inevitable too-high emergencies that pop up now and again. Sleep is an excellent remedy when you feel way too high. While you snooze, your body releases hormones that work to clean out your system and repair any problems. Plus, you’ll be asleep, so you won’t have to deal with the brunt of the bad trip. A new poll shows the Michigan marijuana legalization campaign ahead with 56% support. While we remain cautiously optimistic about success on Election Day, we are not out of the woods yet. A well-funded opposition campaign could still emerge. If that happens, we would likely see misleading TV and online ads telling voters that legalization has failed in Colorado, California, and beyond. The Michigan campaign needs resources in order to present voters with the facts on this issue: prohibition has proven to be an utter failure and legalization policies are working effectively in other states. There are just 55 days until Election Day. I know you get many such requests, but will you make a $20 donation today to support legalization in Michigan? – A victory in Michigan would further increase pressure on Congress to pass federal reform in 2019. This November, let’s make Michigan the 10th state to legalize marijuana. The post New poll on the Michigan legalization campaign appeared first on MPP Blog. Join us in Denver on September 17 for a fundraiser in support of the Utah medical cannabis campaign! This November, Utah will vote on a medical cannabis ballot initiative (Prop 2). While most polls suggest that the initiative will pass, a strong opposition campaign has recently emerged. The Utah Patients Coalition — the campaign working to pass Prop 2 — needs your support. We anticipate a misleading opposition ad campaign over the next two months, and the Utah Patients Coalition needs resources in order to present voters with the facts. So please join MPP’s Deputy Director Matt Schweich for a fundraiser in Denver on Monday, September 17 from 5:30 to 7:00 p.m. MT. Law firm Vicente Sederberg is kindly hosting an event at its office. I will provide a briefing on the campaign and answer your questions. Attendees are encouraged to make a $50 donation to the campaign. Contributions will be accepted at the door, or you can make them online. WHEN: Monday, September 17, 5:30-7:00 p.m. The post Utah campaign fundraiser on September 17 in Denver appeared first on MPP Blog. Nevada State Senator Richard “Tick” Segerblom descends from a long line of legislators. In November, he’s running for a spot on the Clark County Commission. Segerblom, who’s also an attorney, was instrumental in getting marijuana legalized in the Silver State and continues to monitor developments. He’s also a member of Freedom Leaf’s board of directors. Was it inevitable that you would go into politics? I’m a fourth-generation Nevada legislator. My great-grandfather was a state senator from Winnemucca, my grandmother was an assemblywoman from Winnemucca and my mother was an assemblywoman from Boulder City, so I’d say it was inevitable that I would try to serve to keep the streak going. Seriously, I had a keen interest from early on because I saw how government could have a very positive role in a community and be a force for good. I got my first chance working for Jimmy Carter’s administration and never looked back. You’ve been a member of the Nevada legislature since 2007. What have been your greatest accomplishments? There are many bills I’m proud to have signed onto, including increased education funding and greater worker protections. I’m especially proud of working with other legislators to create the state’s first workable medical marijuana framework in 2013 and then working to improve that system in 2015 and 2017. We’ve come a very long way since voters first put the right to medical marijuana in the state’s constitution in 2000. You supported Question 2, which Nevada voters approved in 2016. How is marijuana legalization in Nevada working so far? A new study has found that 18% of those in the U.S. who are 21 or older consider themselves cannabis cannabis. The study, conducted by Kadence International, found that 48% of those who consider themselves cannabis users use cannabis to relieve anxiety, 40% use it as a sleeping aid or as a pain relief agent, and one in five use cannabis as a substitute for prescription medicine. Cannabis is also changing many attitudes towards alcohol (table two below), states the study. Almost half of adult cannabis users (47%) are lowering their alcohol intake, with over 50% of them feeling cannabis is less harmful to them than alcohol. This attitude is especially prevalent in adults between 21 and 40 years old. Interestingly, the study has found that the legalization of cannabis is also driving a change in attitudes. 70% of those surveyed stated that if cannabis were legal in the area they lived, they would be likely to try it. Only 4% of Americans refuse to try cannabis. Miriam Konz, managing director at Kadence International, commented: “While now recreationally legalized in a number of US states, discussing cannabis and its benefits is often done in hushed tones. The study we have conducted tries to demonstrate the role that cannabis has in modern society. We aimed to understand the reasons why people were using it and how often. Most interestingly, there is no defined and clear specific demographic for cannabis users, it is used across all adult age groups, socio-economic backgrounds, and locations. According to new polling, a strong majority of likely voters in Michigan support an initiative to legalize marijuana which is being voted on this November. The survey, commissioned by The Detroit News and WDIV-TV, shows that 56% of likely voters support Proposal 1, with just 38% opposed. Only 6% of voters are undecided, meaning that even if all of them decided they oppose the measure, it would still hold a 12% lead in support. If Proposal 1 is passed into law this November, those 21 and older would be allowed to possess up to an ounce of marijuana, and could grow up to 12 marijuana plants. In addition, the measure would established a licensed and regulated system of marijuana retail outlets. The poll was conducted between September 5 to 7, and included the participation of 600 likely voters. The survey has a margin of error of +/- 4%. The post Poll: 56% of Michigan Voters Support Initiative to Legalize Marijuana, Just 38% Oppose appeared first on TheJointBlog. In addition to several marijuana initiatives (in Michigan, Missouri, North Dakota and Utah) on the Nov. 6 ballot, a number of races in the Senate and House could result in pro-pot candidates knocking off drug warriors. Here are 10 races to watch. Beto O’Rourke is challenging incumbent right-winger Cruz. 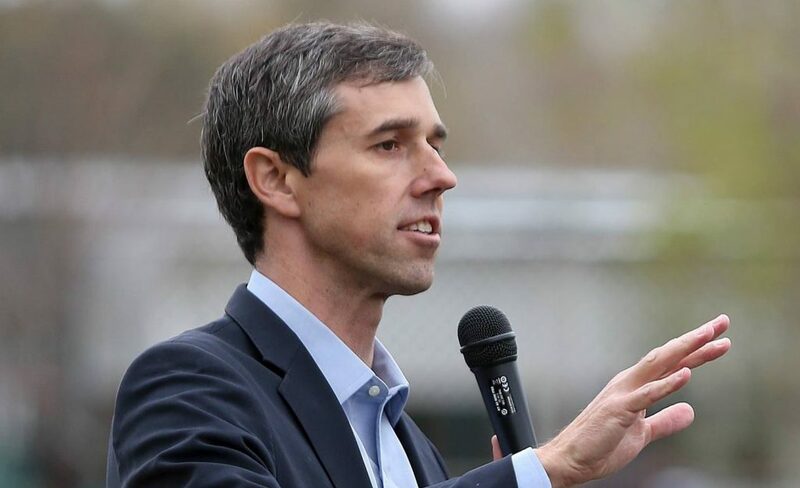 O’Rourke, who’s backed the legalization cause ever since he was on El Paso’s City Council, has repeatedly called for the end of “the U.S. government’s War on Drugs” and “the federal prohibition of marijuana.” An O’Rourke victory would help swing the Senate back to Democratic control. The congressman has the support of Willie Nelson, who he performed with on stage at the singer’s Fourth of July Picnic in Austin. It’s an expensive race with a total of $37 million ($23.7 million for O’Rourke) in the campaigns’ coffers. An Aug. 27 Emerson College poll called the race a “dead heat,” though most prognosticators say it’s “likely Republican.” In recent weeks, Cruz’s campaign has been pulling out all the stops, releasing O’Rourke’s mug shot from a 1998 DWI and longhaired photos from when he played bass in a punk-rock band.